All of Arcadia’s instructors have extensive experience working as certified behavior analysts in the field as well as teaching at the university level. Arcadia’s program is designed to develop professional expertise in behavior analysis and the consultative skills necessary to affect real change in schools, homes, and community settings. All instructors are Board Certified Behavior Analysts (BCBA). 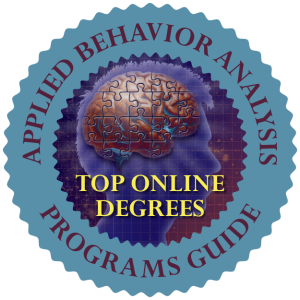 The M.Ed and the Graduate Certificate in Applied Behavior Analysis are fully online programs. Are Courses Approved by the BACB? The Behavior Analyst Certification Board, Inc.® has approved the new 5th Edition Task List seven-course sequence as meeting the coursework requirements for eligibility to take the Board Certified Behavior Analyst Examination®. The new 5th Edition Task List and the corresponding changes to the required course work and fieldwork will go into effect in January 2022 and the new courses will begin to run in Fall of 2019. Applicants will have to meet additional requirements to qualify. The BACB requires that a master’s degree in a related field be obtained prior to applying for board certification. In addition to the Applied Behavior Analysis graduate certificate and master's degree, Arcadia also offers optional applied behavior analysis practicum opportunities to help you gain experience and meet the requirements to sit for the BACB's certification exam through several local agencies in the Tri-State area. Applied behavior analysis provides the most evidenced-based intervention within all of psychology and education. Behavior analytic procedures have been coded into educational law. For example, the Individuals with Disabilities Education Act calls for a functional behavioral assessment (FBA) to be conducted prior to suspension of students with disabilities. ABA has helped to support youth and adults with autism, conduct disorders, oppositional defiant disorders, and depression, as well as couples needing therapy. It has served as the basis for educational procedures such as direct instruction and assessment procedures such as curriculum-based measurement. It is essential for professionals functioning within a Response to Intervention Model. The M.Ed. with a concentration in Applied Behavior Analysis provides students with specialized knowledge of the application of behavioral principles. The program is designed to develop and enhance the comprehension and use of effective evidence-based practices to support professionals who require expertise in the understanding and modification of behavior. Concentration Courses (21 credits): Courses are provided in a suggested sequence and we suggest that students take two courses at a time. ED 599 Culminating Master's Project (3 credits). The Culminating Project is arranged and designed in consultation with adviser Sarah Woldoff. The Graduate Certificate in Applied Behavior Analysis includes courses in behavior principles, data analysis, applications with children and youth with behavior problems, ethics and consultation skills necessary to work with other professionals and important adults in schools, homes, and communities. See School of Education Graduate Admissions Requirements. To review the Verified Course Sequence and the BACB Pass Rate information, please visit their website. VCS pass-rate information is published annually. Pass-rate data are not published for sequences with fewer than six first-time candidates in a single year or for sequences within their first four years of operation.